Nature puts on a phenomenal show when the northern lights—the aurora borealis– dance across the sky. Your best chance for seeing these spectacular sweeps of color is on clear, dark nights in the fall, winter or early spring. Visibility depends on the weather and other conditions, but location is key. The view gets better as you go farther north. See the dazzling display at one of these destinations. Fairbanks sits in the auroral oval, a ring-shaped area around the North Pole, and it’s one of the best places in the world to see the lights. They’re often visible from August to May, becoming more intense between 10 p.m. and 2 a.m.
No matter where you are, remember the lights can be unpredictable, and you may have to look for them over a period of time. Even experts can’t always predict when the bright ribbons and swirls can be seen. 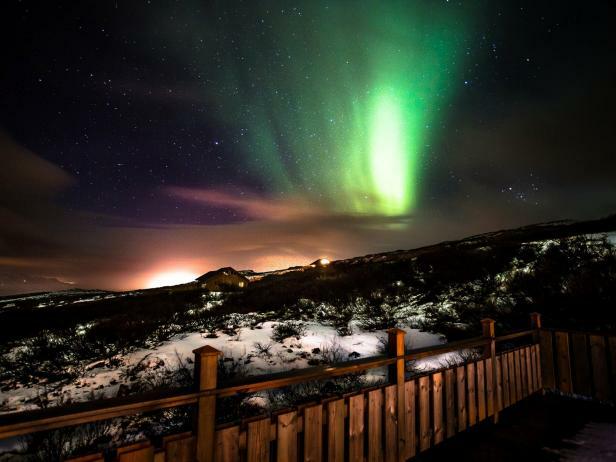 Many locations offer guided tours to see the aurora borealis, or you can simply book lodgings and venture out over the course of several nights when you’re trying to spot them. 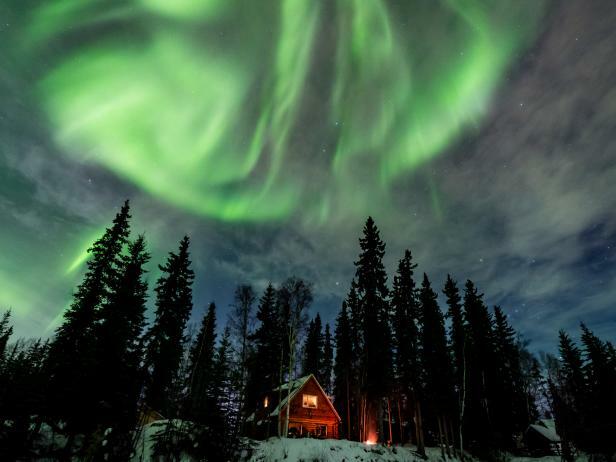 Experts with TripAdvisor Vacation Rentals recommend Moose Walk Cabin, a waterfront rental home in Fairbanks, for sky-watching at night. 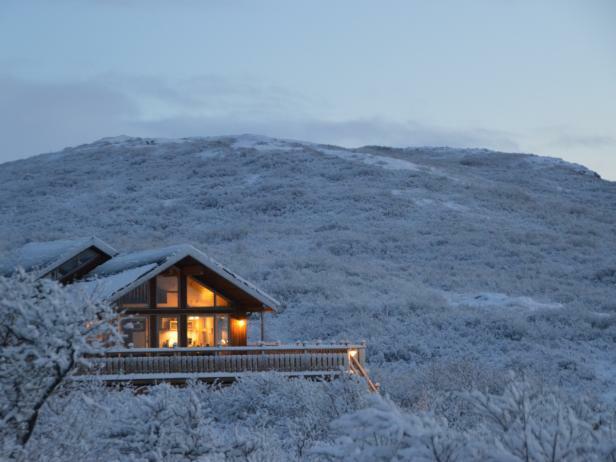 By day, the cabin has easy access to hiking, snowmobile and four-wheeler trails. This Norwegian city is slightly north of the Arctic Circle. Like Fairbanks, it’s within the auroral ring. Optimum viewing times in Trosmo are usually between October and mid-March. If you visit in January, don’t miss the annual Northern Lights Festival, when townspeople and tourists celebrate with live music, special outdoor activities and other fun events. Fjosen, a renovated oceanfront barn, is also available for rent here. Its floor-to-ceiling windows look out over Ersfjordbotn, known as the “northern lights fjord,” and neighboring mountains. This condo/apartment has three bedroooms. 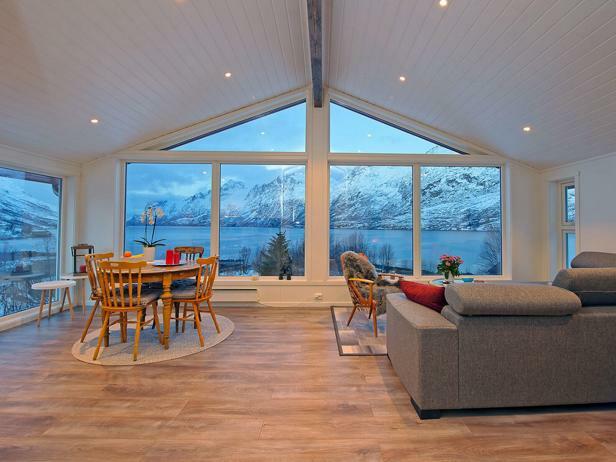 Borgvaag On The Water is a one-bedroom rental on Norway’s beautiful Lofoten Islands, above the Arctic Circle. The home has 360-degree views of the winter aurora borealis. 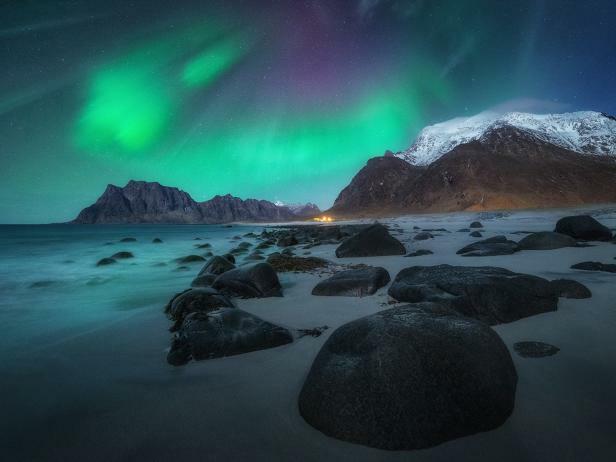 From Lofoten, visit the Polarlight Centre Lofoten in Laukvik. There you’ll find instruments that track the magnetic activity of the lights, so you’ll get an idea of when to see them. 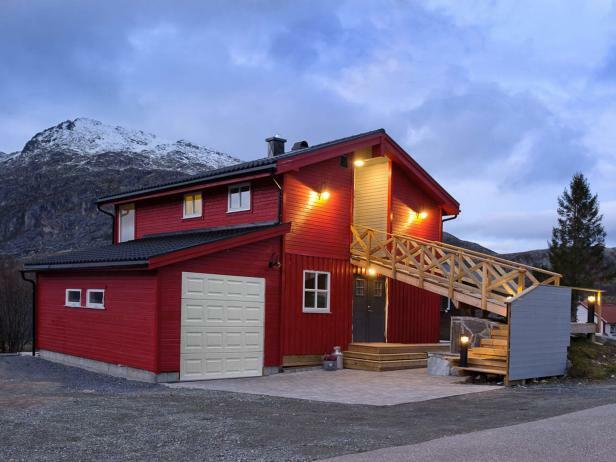 From Hattvika Lodge, another Lofoten Islands rental property, you’ll have daytime views of the Ballstad fishing harbor and, when conditions are favorable, incredible evening views of the northern lights. If you arrive in summer, look for the midnight sun. August through April and into very early May are prime times to experience Iceland’spink, purple and green northern lights. To enhance your chances of seeing them, check the forecast before you go. 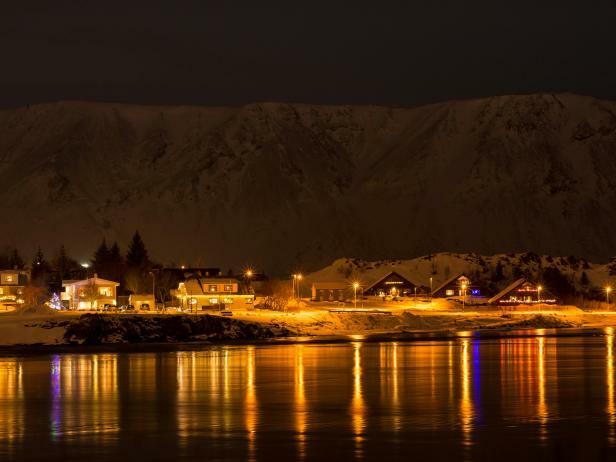 Look for the lights from one of two villas at Marta House, in Selfoss, near Reykajvik. 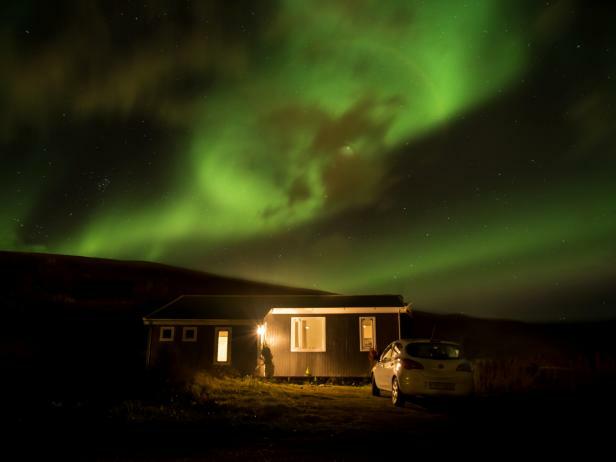 In the winter, watch for the northern lights from Viking Cottage, a one-bedroom rental overlooking the bay in Akureyi. You can also see the midnight sun here, during the summer season. 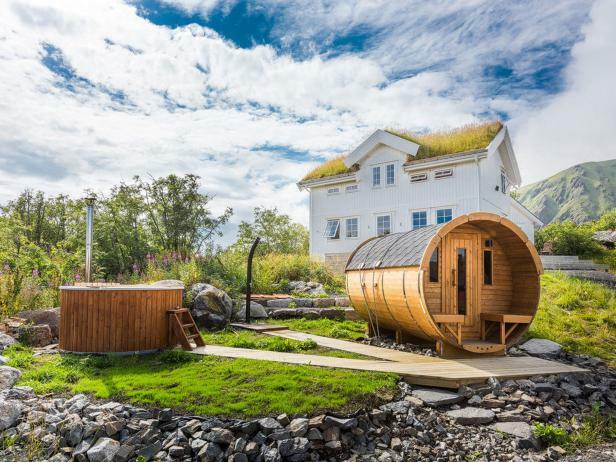 Brekka Cottage, in Reykjavik, offers scenic views of the Atlantic Ocean and surrounding mountains. “Brekka” means slope, and this three-bedroom rental, which sits on a hillside, offers great views of the pulsating lights. Stay busy during the day with an Iceland Winter Adventure. This REI Adventure tour offers snowshoeing across lava fields, hiking on icy-blue glaciers and trips to see frozen waterfalls and bubbling hot springs. 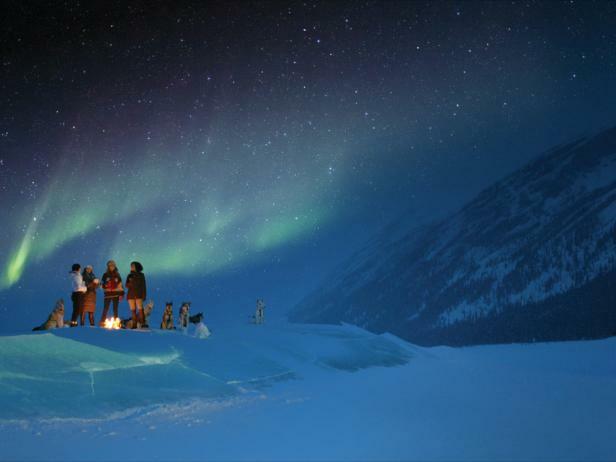 At night, guides lead excursions to view the multi-colored northern lights. 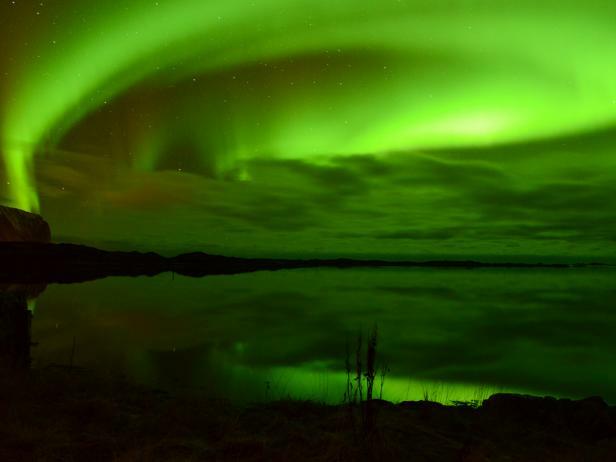 Known in Scotland as the “Mirrie (Merry) Dancers,” the northern lights are brightest in the northern Highlands. Sign up for free alerts on the best viewing opportunities; you can be notified via smartphone, email, or on your Twitter or Facebook accounts. 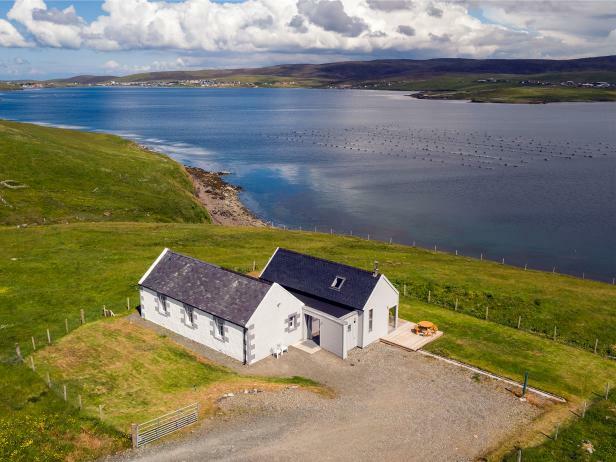 In January, the Shetland Islands, which are closer to the North Pole than other British isles, wintertime visitors may see curtains of pink, purple, blue, green and orange lights.Muckle Roe Chapel, on the island of Muckle Roe, is available for rent. 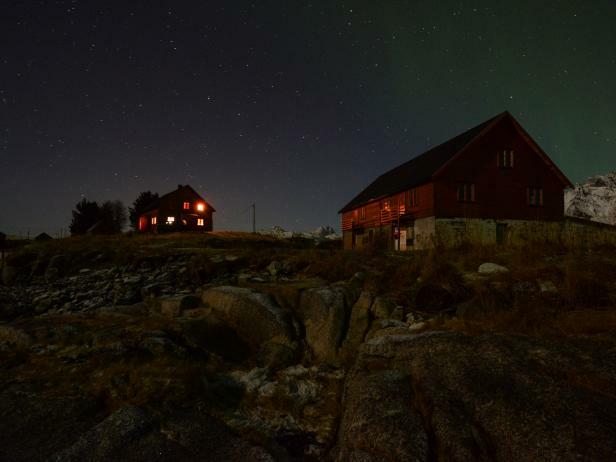 As its name suggests, it’s a renovated chapel, and it offers panoramic views of the sea and the northern lights. While you can spot the northern lights from almost anywhere in Alberta, they’re especially brilliant in Wood Buffalo and Jasper National Parks, two of the largest Dark Sky preserves in the world. 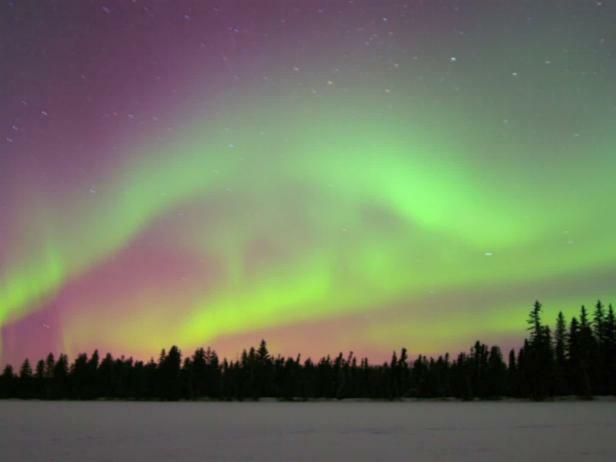 The skies over Canada’s Yukon Territory also glow with the aurora borealis from August to the middle of April. Stop in at the Northern Lights Centre, in Watson Lake to learn what produces the colorful show and hear legends about their origins.